Matthew W. Donald is Of Counsel to The Zimmer Law Firm, LLC. In that capacity, he represents clients of the Firm as Co-Counsel in Medicaid and Veteran’s Administration benefit applications. His dedication and expertise teamed with the expertise of the Firm’s lawyers have enabled the Zimmer Law Firm, LLC to continue to expand its services to meet the changing needs of its clientele. Donald comes to the law from a twenty-three year career in the US Army, retiring at the rank of Major. As a retired soldier, Donald had a particular interest and passion for helping his fellow veterans which motivated him to become a lawyer. After a brief stint working at a law firm, Matt recognized a need in his community to help people with nursing care as they aged without going broke and losing their life’s savings. Also, he recognized the need for skilled estate planning services in his community. He decided to strike out on his own and opened Donald Law Office in Baltimore, Ohio (southeast of Columbus). Since founding his firm, Donald has focused his practice where his passion lays – helping those in need. He has successfully represented hundreds in securing Medicaid for nursing care costs and Veterans’ Administration benefits for those who are homebound or require nursing care. He shares the same Core Values the Zimmer Law Firm, LLC was built on. Donald is a VA Accredited Attorney. He is a member of the Ohio, Columbus, and Fairfield County Bar Associations; the National Academy of Elder Law Attorneys (NAELA) and the Ohio chapter of NAELA; and the only member of the American Academy of Estate Planning Attorneys in Central Ohio. Because of his passion and skills for helping Veterans and the elderly, Donald is frequently sought to teach continuing legal education course for attorneys, CPAs, and financial advisors. 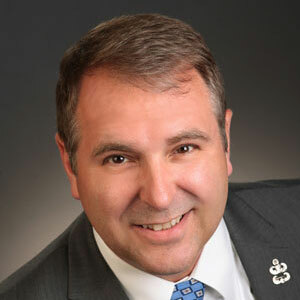 His speaking engagements include lecturer for the Ohio State Bar Association workshops on VA benefits in 2014 and 2015, including the VA Accreditation course which allows other attorneys to represent Veterans before the VA; lecturer on behalf of the National Business Institute on the subjects of Special Needs Trusts and Medicaid Benefits Eligibility in 2015; keynote speaker for a Columbus Tax Club of The Ohio Society of CPAs monthly conference on estate planning and asset protection; and guest speaker at the Fairfield County Older Adult Network. Donald is very active in the community as a coach for both softball and baseball. He is a member of VFW Post #3761, and former Senior-Vice Commander. Donald is also active in his church as a reader and usher. Donald and his wife Sherri have been married for twenty years and have been happy to call Baltimore home for the past twelve years. Together they are the proud parents of three gifted and wonderful children.